Bring some contemporary style to your summer outfits with the Born Sutra Perf sandals. 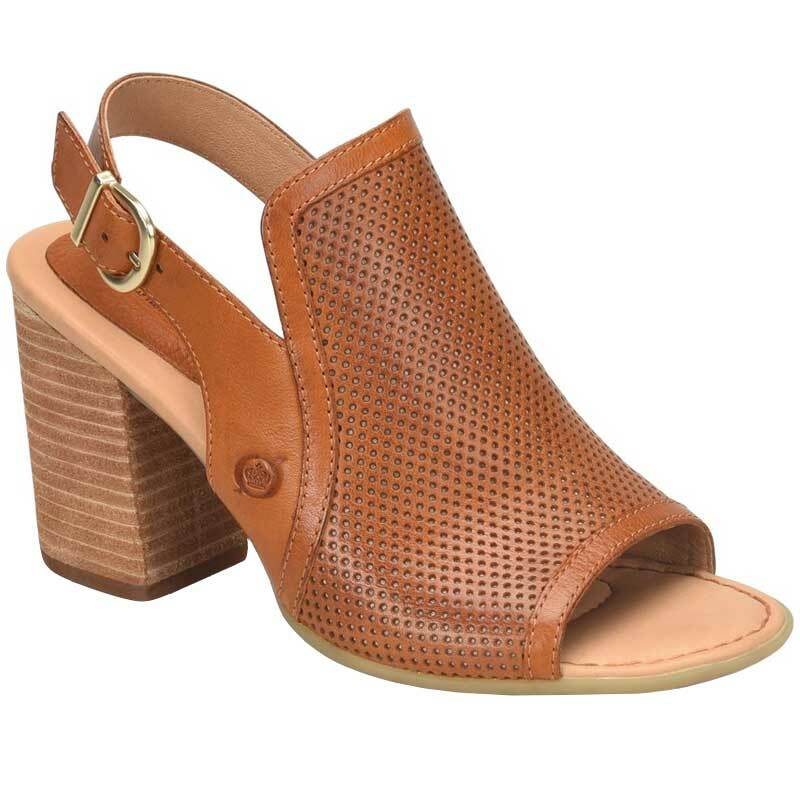 This women's high heel sandal features a supple, full-grain leather upper with perforation detail and classic strap silhouette. The vegetable leather lining helps the Sutra Perf feel comfortable right out of the box, and an adjustable sling-back strap helps create a secure fit. The cushioned footbed helps you step in comfort over and over again, while the rubber outsole keeps you steady. The stacked heel gives a generous boost in height without any shakiness, so stand tall in the alluring Born Sutra Perf sandals.